Copies and Shipping and Notary, UPS and FedEx and Lots, Lots More! SHIPPING: Federal Express, UPS, and Postal Service drop off, and a complete selection of packaging materials. Come visit us! Smartphone Visitors … Tap on the Number to Call us Now! Secure delivery of your personal or business postal mail and packages (UPS, FedEx, etc.) Stop in and reserve your mailbox today! 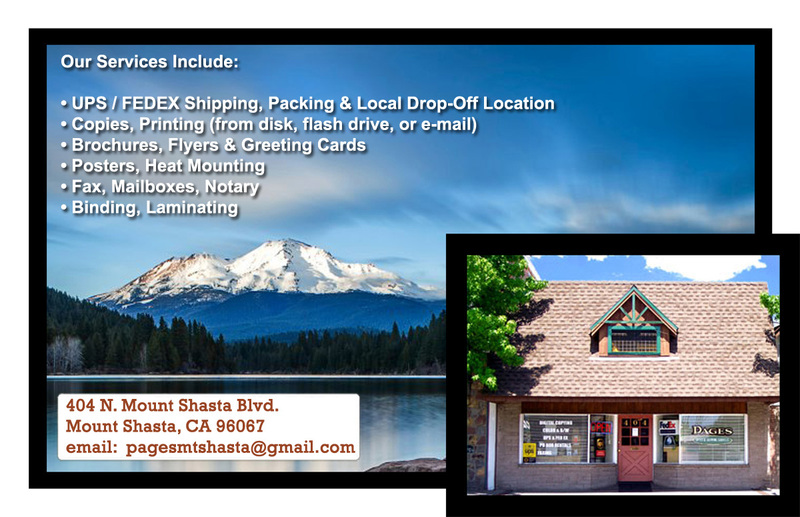 Friendly service from a family-owned business with a well-established presence in the Mount Shasta community.